I’m off to Vancouver again! This time, I’m attending a three day retreat for practitioners, theologians, and writers in the New Monastic movement, many of whom I have never met before. In preparation for the meeting, I’m reading some of their books so I will have a sense of the conversation to date. 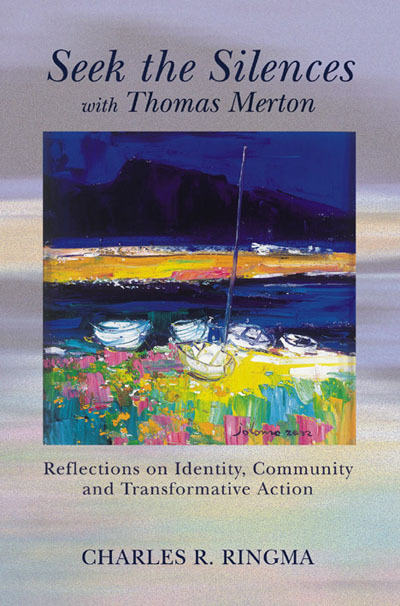 I’m really enjoying Seek the Silences with Thomas Merton: Reflections on Identity, Community, and Transformative Action by Charles Ringma. I find Merton a bit lofty and hard to understand, but Ringma with his Reformed sensibilities brings him down into my orbit. The book is comprised of short reflections on Merton’s teaching, and has become a lovely addition to my daily quiet time. 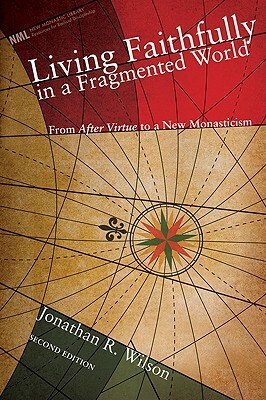 Another book I read was Living Faithfully in a Fragmented Word by Jonathan R. Wilson. Wilson is very much an academic, and at points I thought my little brain might explode, but I found some of his conclusions at the end of the book easier to grasp. 1. Communal Egotism – it could be very tempting for us as prayer and justice communities, to think that we are God’s gift to the church and to the world. In one sense, we have to live as a prophetic witness in lifestyles radically reoriented to prayer, mission and justice, but we need to do so in meekness, bringing our egos to the cross. 2. Utopianism – Bonhoeffer comments that idealism is the enemy of community. We think that somehow we can get things right where the church has got it wrong. The reality is that the close sharing of life in communities is very challenging. We can hide our sin when aloof to one another, but when we live in deep community we are confronted with it at every turn. 3. Romanticism – we can look back at the history of the prayer movement or monasticism with rose colored glasses, and miss the reality that within them there was mess, controversy, and many practices that did not survive the test of time. We must not be daunted by the messiness and uncertainty of following the Holy Spirit into a new thing. We must not sugar coat or romanticize the struggle. 4. Utilitarianism – we can fall into the error of thinking that our way of life is a useful way to live in a fragmented world. This is not a way to “make our lives better”, says Wilson. This is a way to form life faithful to the gospel. 5. Pelagianism – we can think that the formation and faithfulness of our communities “depends upon human ability and effort to the exclusion of God’s grace.” Symptoms of this include anxiety, blaming, resentment, overwork, Sabbath breaking, etc. The advantage of so many having gone before us in the New Monastic/House of Prayer movement, is that we have the blessing of being able to learn from their known failure paths. We might forge some new ones of our own (eeek), but at least we have been informed and enriched by their journey. Next Post Obed House of Prayer in Victoria, B.C.